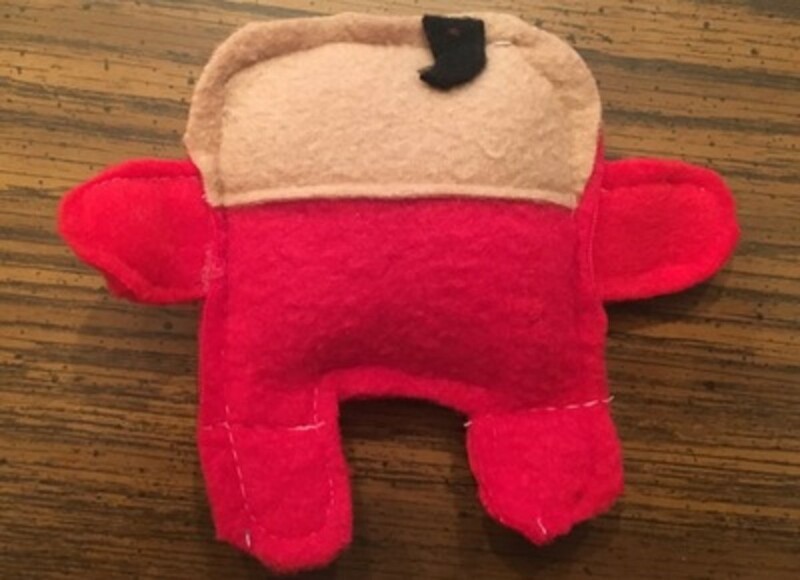 This cute little zipper pocketed plush toy is a perfect way to use up scraps of fleece while making a gift kids love. 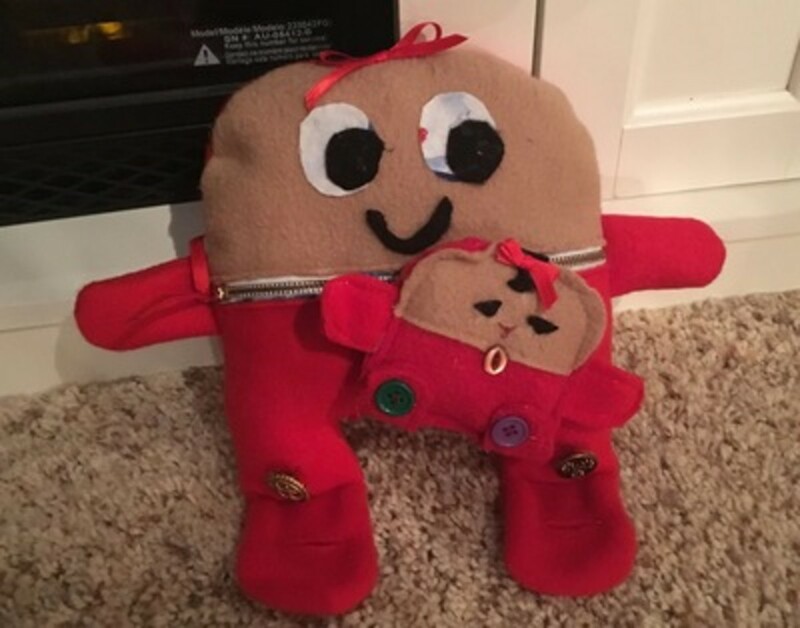 Mama's pocket holds her little baby so she doesn't get lost. 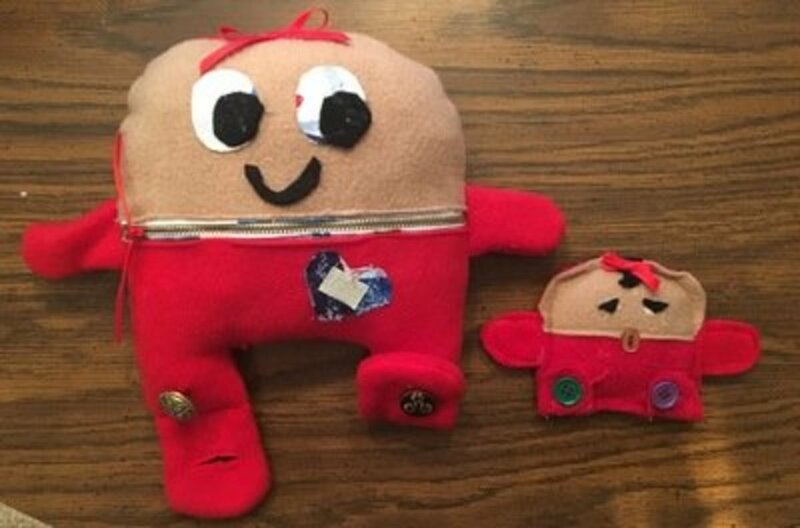 A piece of Velcro sewn to the back of baby attaches to the piece of Velcro sewn in the center of Mama's heart when Baby is outside the pocket. Press under 5/8" along the long edges of the lining rectangle, toward the right side of the fabric. 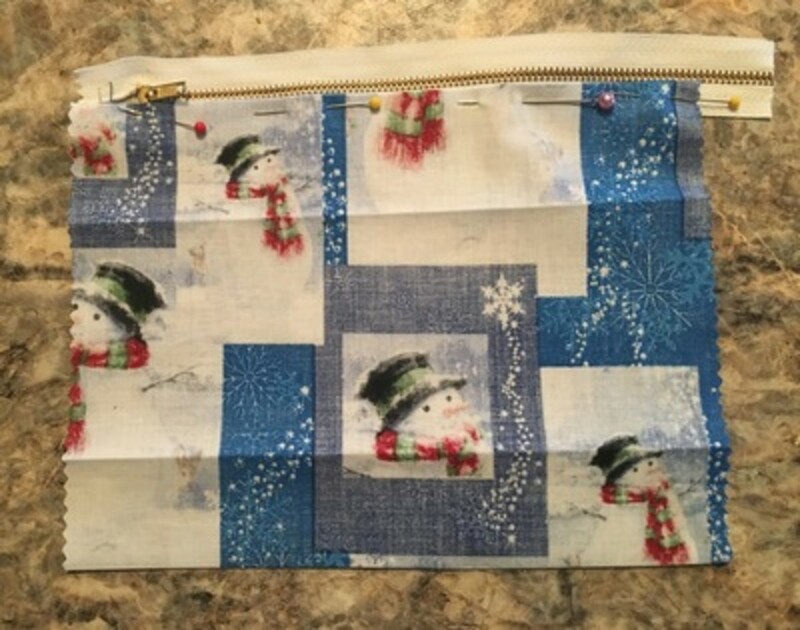 This will make the right side of the fabric visible when the pocket is open. 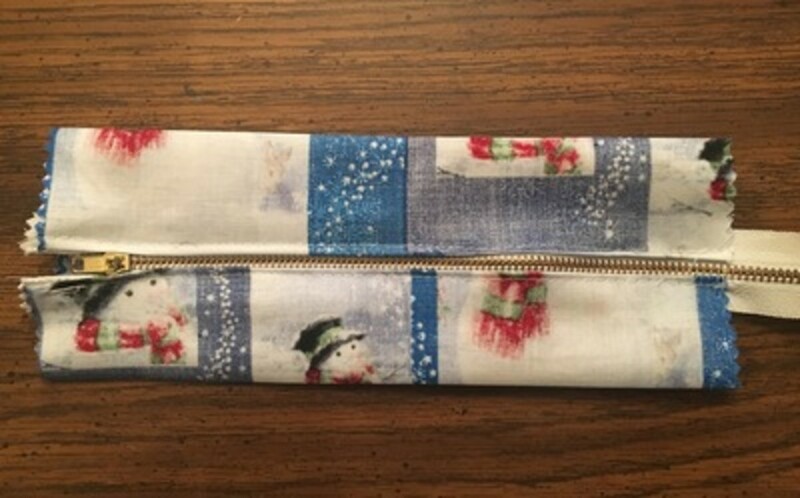 Pin the zipper under the pressed seam. 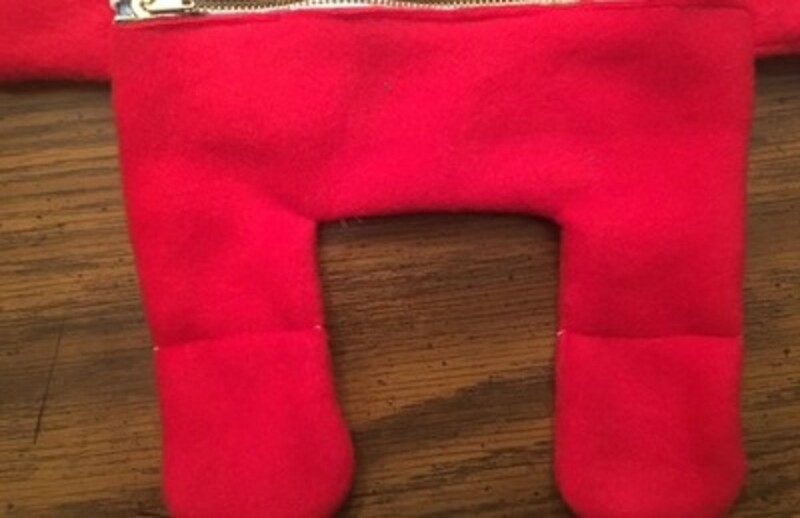 Open the zipper and sew the zipper in using a zipper foot. Center the zipper over the pocket and press. 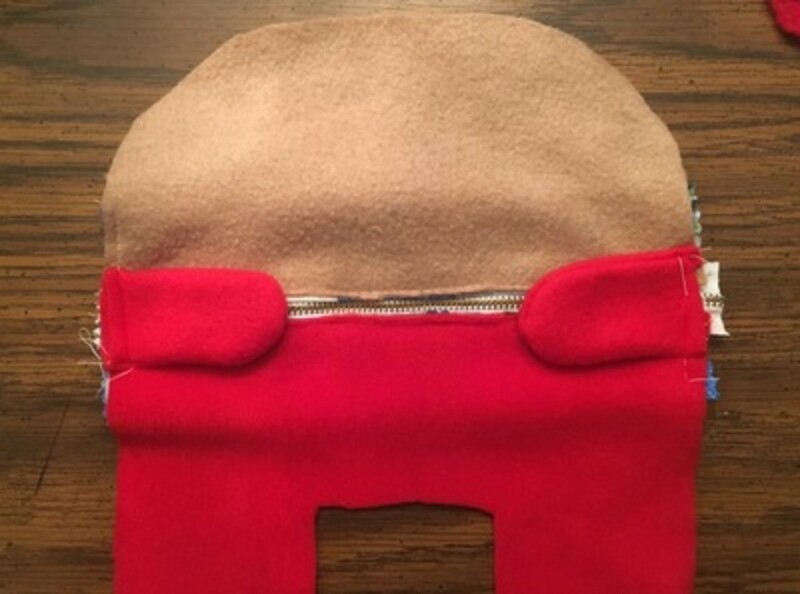 With the zipper open, pin and sew the top and bottom front pieces over the zipper sides. 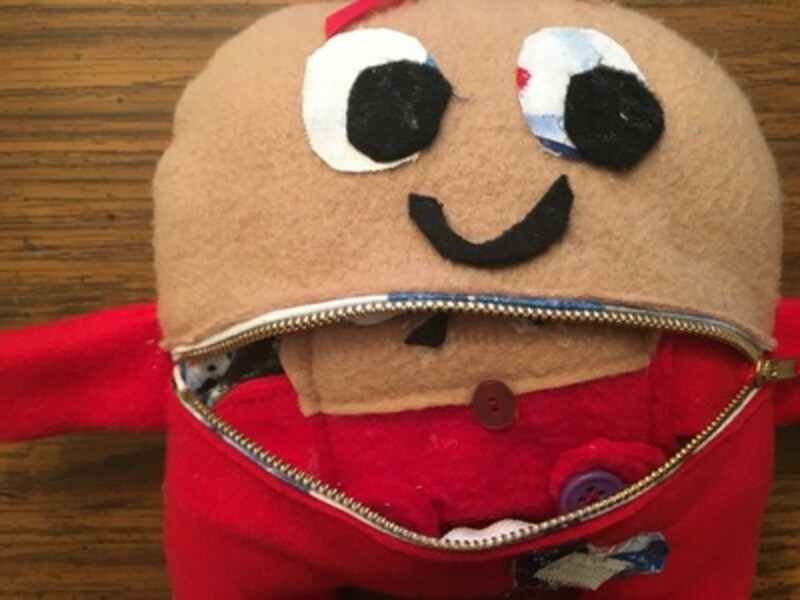 Do not cover the zipper teeth. 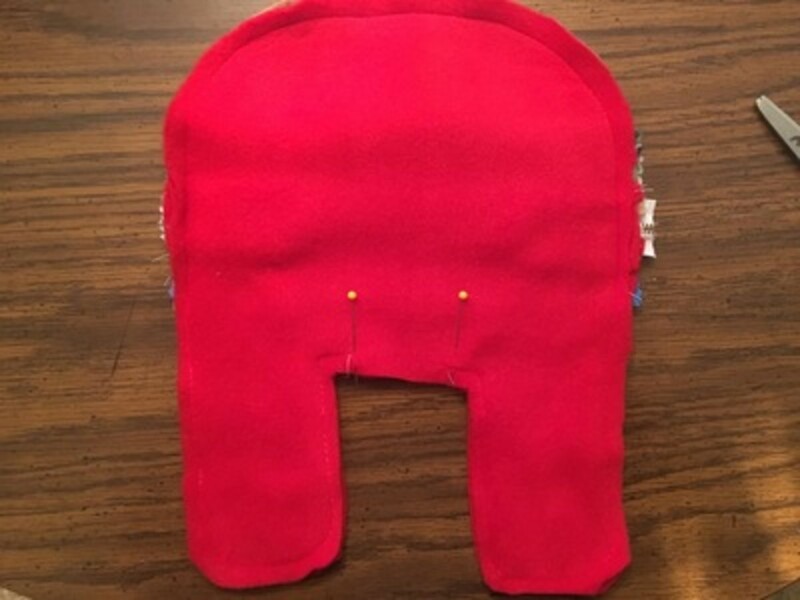 I forgot to do this when I was sewing this sample, but now is the time to sew the heart and Velcro on the body. 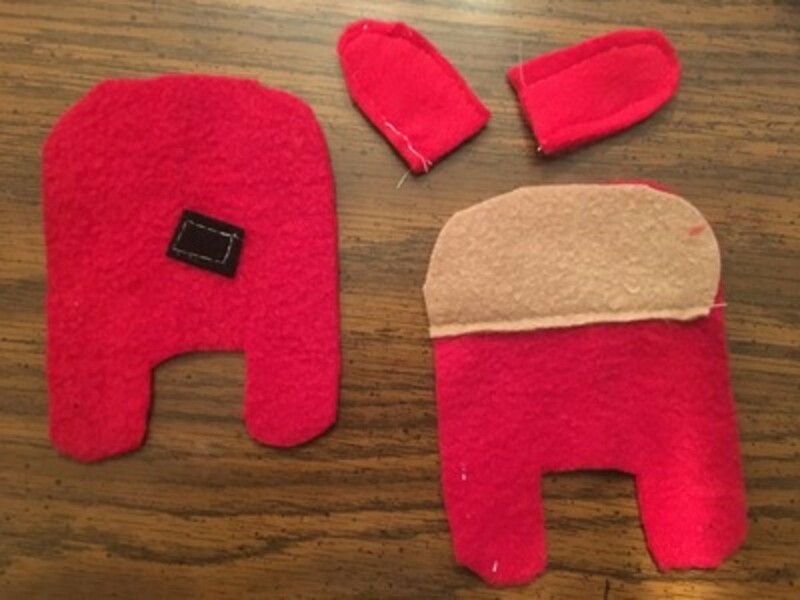 Be sure to keep the pocket out of the way when sewing the heart and Velcro. 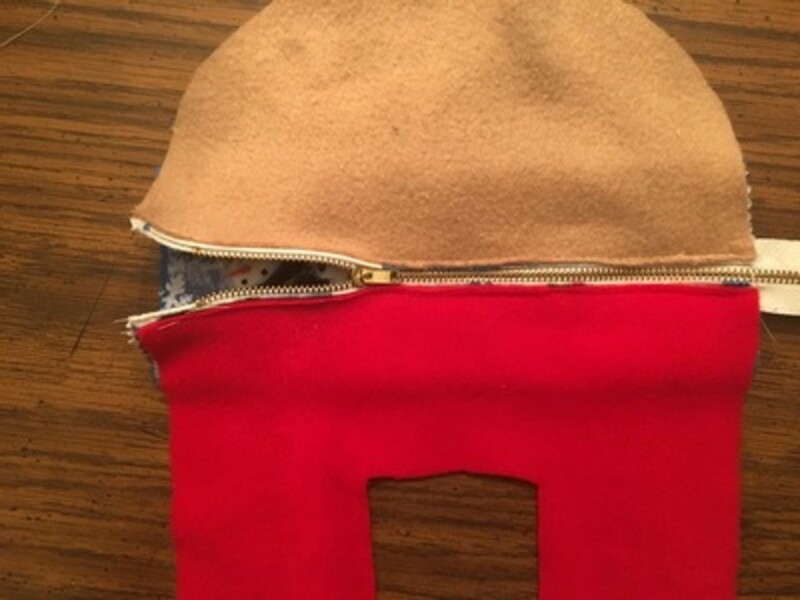 Close the zipper and sew the sides of the pocket to the body front. 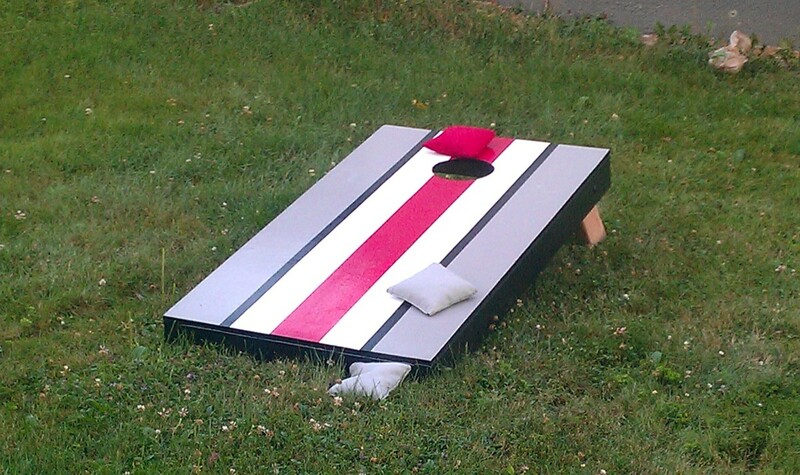 Center the arms, which have been sewn and turned, over the zipper. 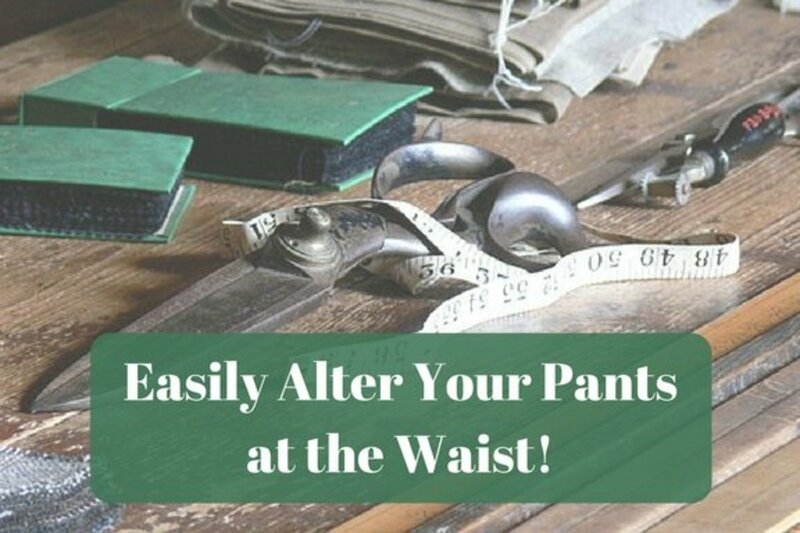 Lay the back body piece over the prepared front and sew, using a quarter inch seam, around the body leaving the area between the legs open. Turn right side out. Pull one leg through the space left open, and the rest of the fabric will follow easily. Stitch along the stitching line on both legs. 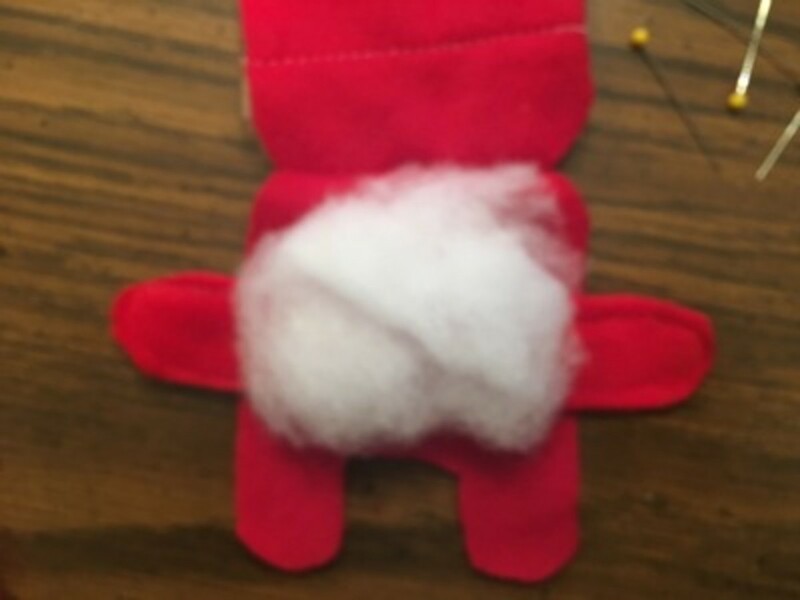 Stuff the top of the legs and the doll with Fiberfil and slip stitch the opening closed. 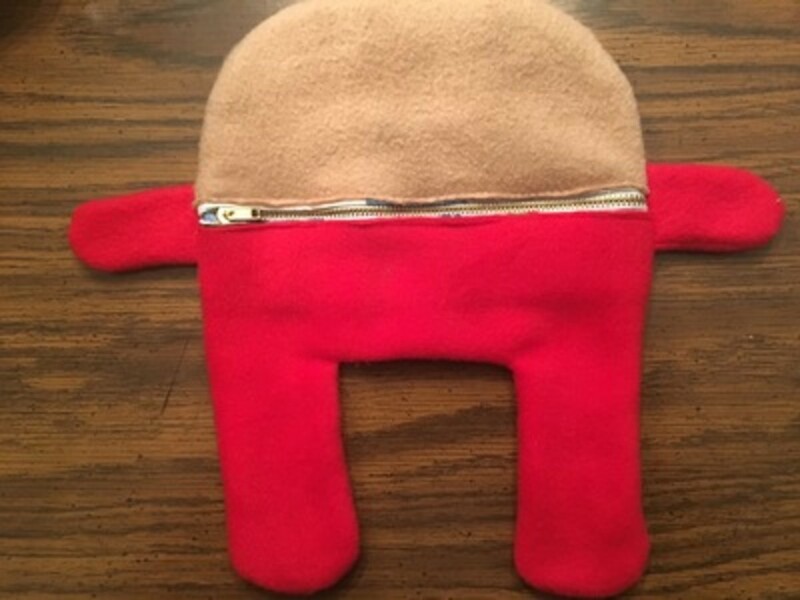 All seams are visible on the baby. 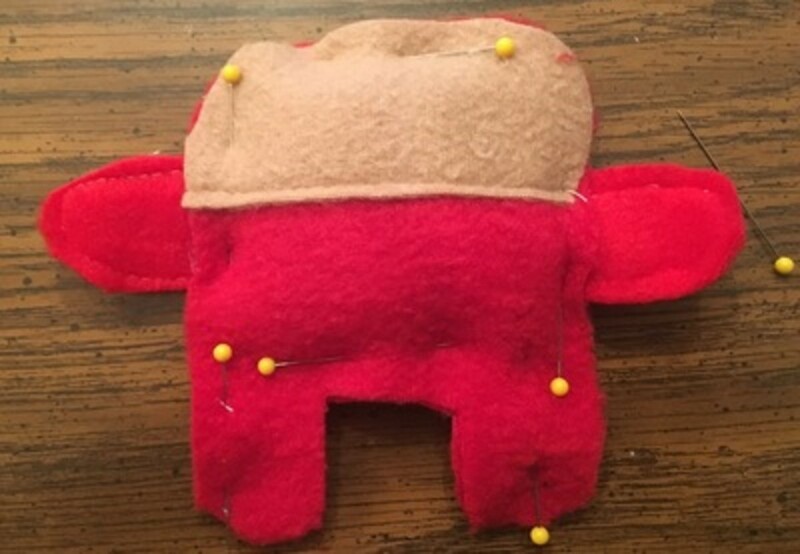 On one of the body pieces, sew the face colored piece along the center line. 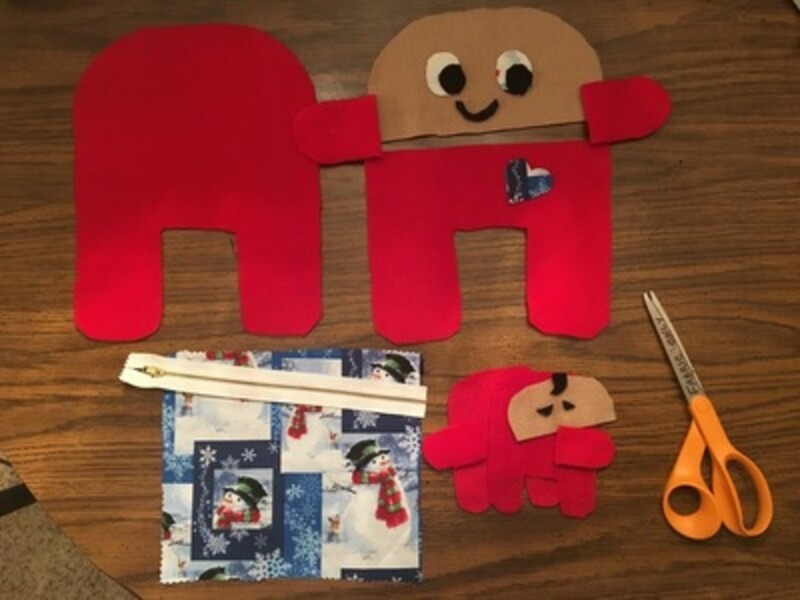 Sew around the arms and add a piece of Velcro on the back body part. 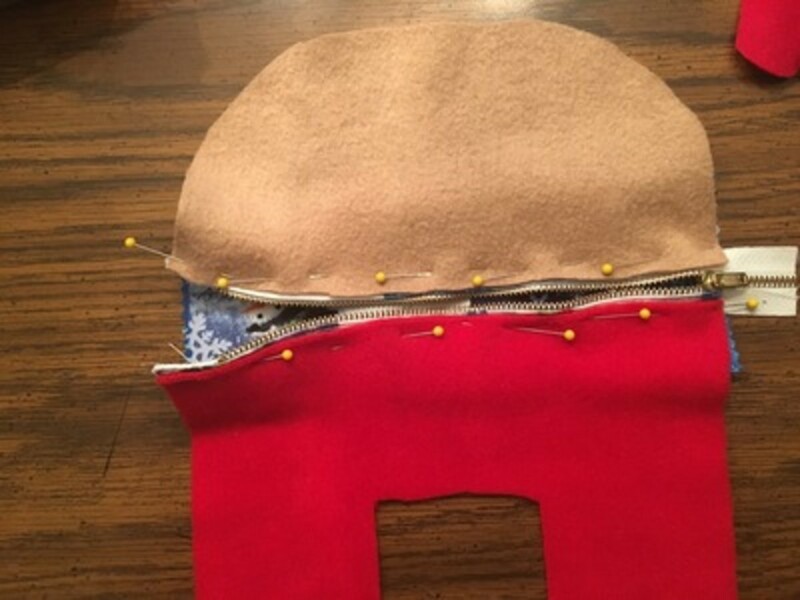 Lay a small amount of fiberfill between the front and back body pieces. 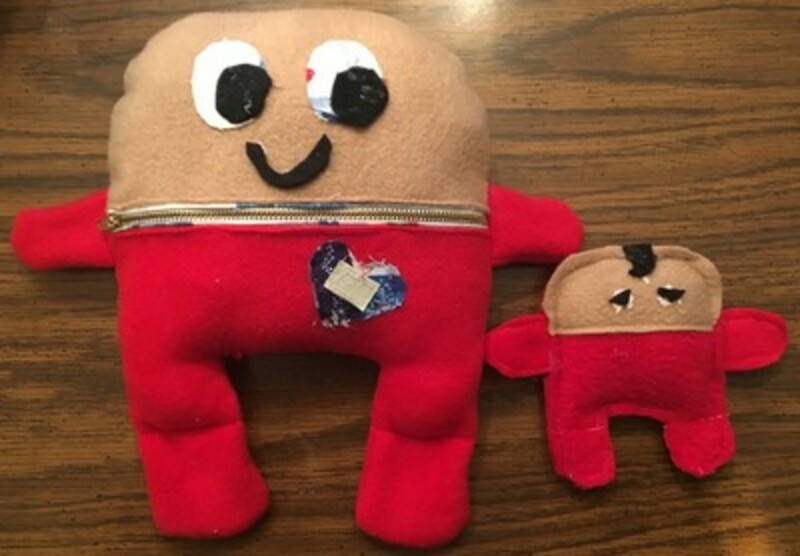 Pin and sew around the body. Sew using a quarter inch seam. Trim seam edges and stitch across the legs on the stitching lines. Make button holes by sewing a line of stitches, one stitch over and another line of stitches and one over. Clip between the two rows of stitching. 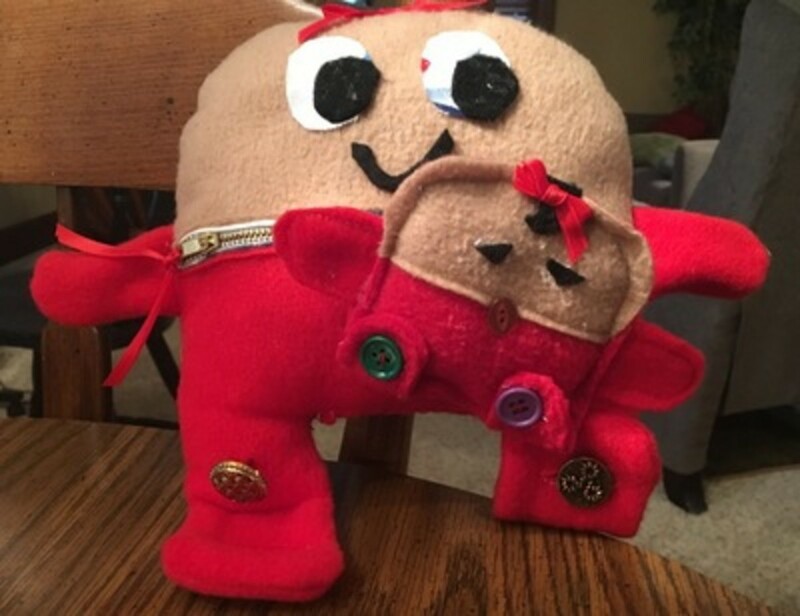 Sew a button on the upper leg where the buttonhole matches. So she doesn't get lost, Baby hides in Mama's pocket. Baby stays close to Mama's heart when she's out of her pocket. This photo shows Baby's sweet little mouth which is stitched on with red thread. Little red bows are glued to Mama's and Baby's heads.